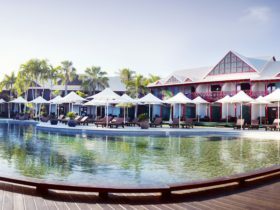 Moonlight Bay Suites is ideally situated on Roebuck Bay and only minutes away from Broome’s China Town. 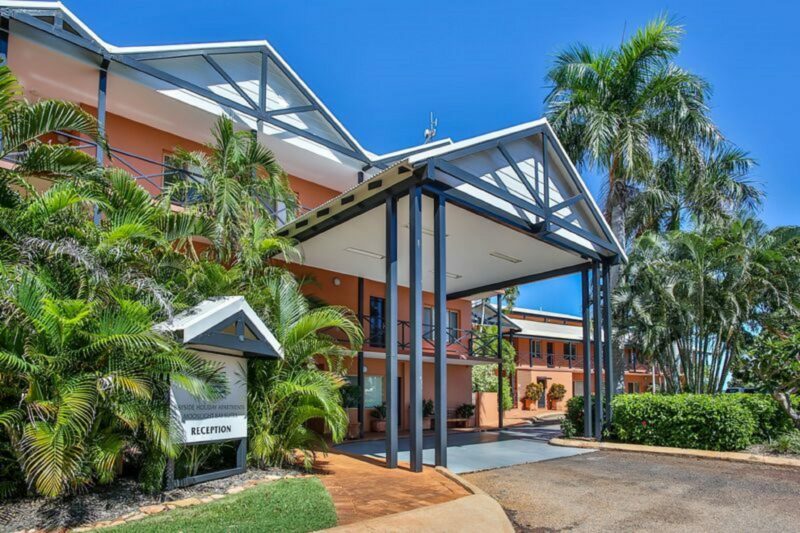 Moonlight Bay Suites is a quality Broome accommodation close to essential services, shops, the Court House Markets as well as attractions such as Pearl Luggers and the historic Sun Picture Theatre. 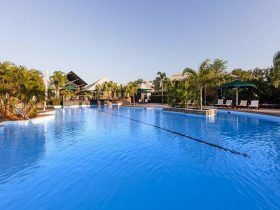 They offer spacious one and two bedroom fully self-contained suites together with a huge 28-metre outdoor pool, poolside barbecue, gym and on-site day spa. Their award winning restaurant, Matso’s Broome Brewery, is ideally located over the road. Guests are welcome to use all facilities on the day of departure. Late check-outs are welcome to leave luggage with reception and a guest room is available for a shower to freshen up before leaving. The One Bedroom Suite offers comfortable accommodation featuring separate bedroom and living area. A large separate bathroom including a bath is also provided. The suites feature a full range of facilities and you will be amazed at the space available in the room. They feature easy access located around the courtyard. 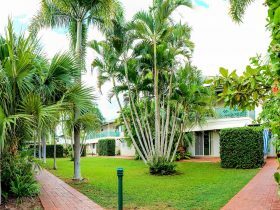 Comfortable one bedroom suites providing separate bedroom and living area with views over Roebuck Bay. 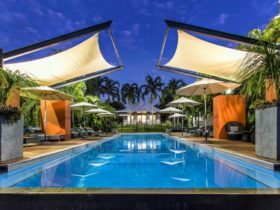 These units offer the best value in Broome. 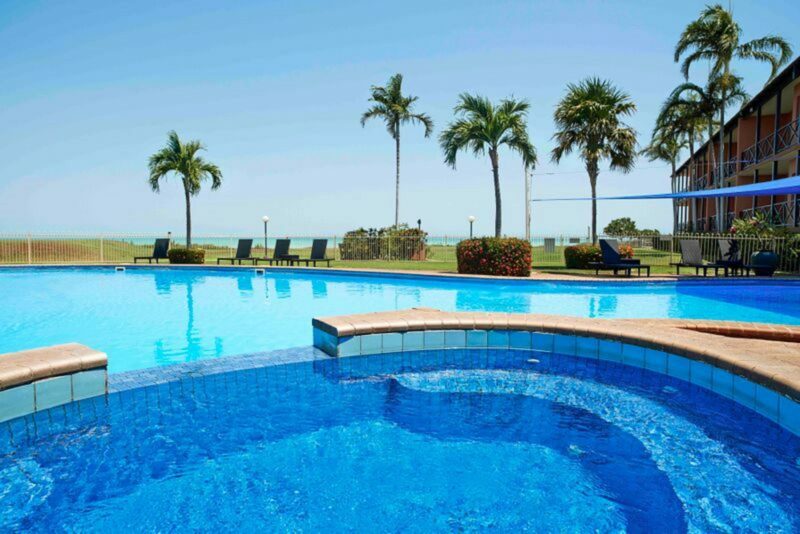 Not only do they provide a spacious living area with all the facilities for your stay in Broome, they also provide a view over the magnificent Roebuck Bay. To see the tidal movements is fascinating in itself but to see it from your room is another thing all together. Extremely spacious and comfortable these suites feature a full kitchen, two bedrooms and a large living area. The master bedroom features a queen-sized bed and the second bedroom two single beds. The living room also provides a double sofa bed. 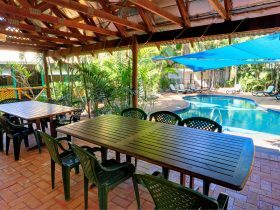 The two bedroom suites are extremely spacious and include all the facilities for your stay in Broome. The fully equipped kitchen is available to prepare in room meals. 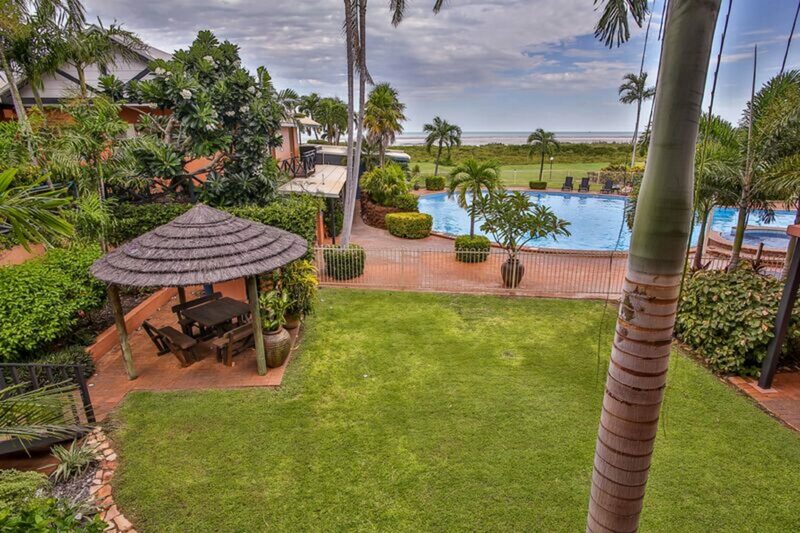 Private balcony with uninterrupted views over Roebuck Bay. 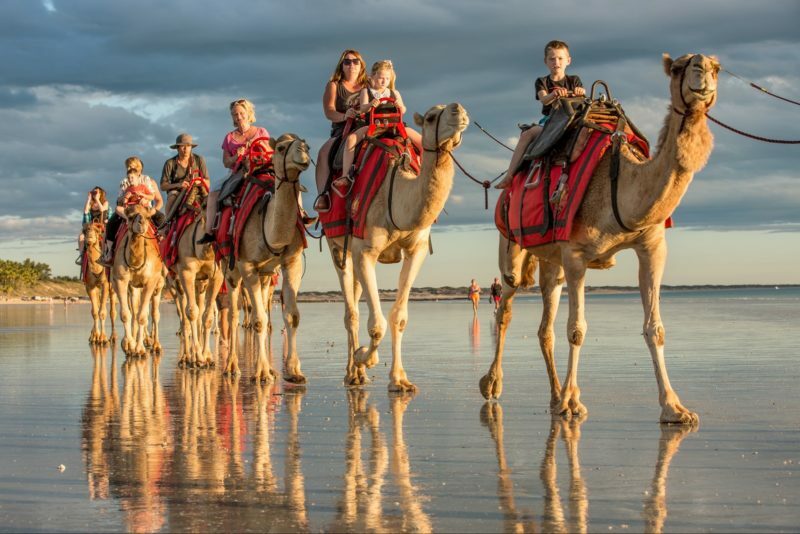 Enjoy the views while you watch the huge Broome tides come and go as you relax in the finest rooms in Broome. 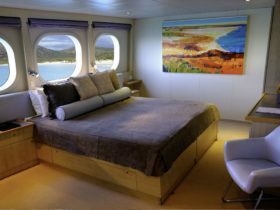 The rooms feature a master bedroom that includes a queen-sized bed. The second bedroom has two single beds. The living area also features a double sofa bed. The living area features a large table and chairs, desk and comfortable lounge furniture in an uncluttered area that allows you to enjoy the tranquil waters of Roebuck Bay. Prices vary between wet and dry season.